How much is a clear understanding of the last days worth to your Christian walk? Suppose you could sit down and watch a video Bible Study Lesson and follow along with PowerPoint charts every step of the way? Imagine saying, I never knew I could understand all this so easily just by watching a video on the last days. Well, it isn’t if you have the right teacher and lesson plan to guide you. Think about it. A visual tool is the most powerful way to learn with hearing, seeing and doing. You see how all the pieces fit together. Simply put, a video is the best way to learn about the last days. Many others fall flat on their face never figuring out how to understand the last days. It’s taken me 30 years to put this information together in this manner. At last! Every Key Text Explained In Simple Fashion is here. Could You Use To Improve Your Knowledge of the Last Days? Well, realize that this Last Days DVD Series could easily sell for hundreds of dollars. In fact if you asked a top expert, like myself, to produce this study for you personally, the costs would add up quickly from the hours and time involved with research, production, equipment,not including travel expenses, food and lodging. But you’renot going to pay anywhere near that amount or even what is normally charged for similar products. 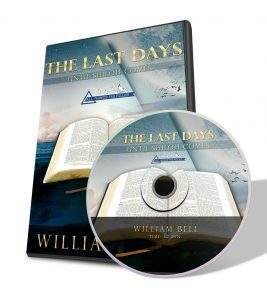 In fact, your total investment for the Last Days DVD Bible Study Series is only $47.00. Well, it’s really quite simple. I want to get this material into as many hands as possible. I want to help train as many students who can easily share this information with others. Together these 3 free bonuses are worth more than triple your investment in the The Last Days Video Series — but they’re all yours absolutely free when you order by midnight [[November 30, 2016]]. That means you can try out all the DVDs in the Last Days Series at my risk, while you see if they work for you or not. And if they don’t produce, I honestly want you to ask for your money back. And, I’ll let you keep the free bonus gifts as my way of thanking you for giving The Last Days DVD Study System a try. There is absolutely no risk, whatsoever on your part. The burden to deliver is entirely on me. If you don’t see a dramatic improvement in your Bible knowledge of the Last Days you may return your shipment. You Really Can’t Afford Not To Invest In The Last Days DVD Series! 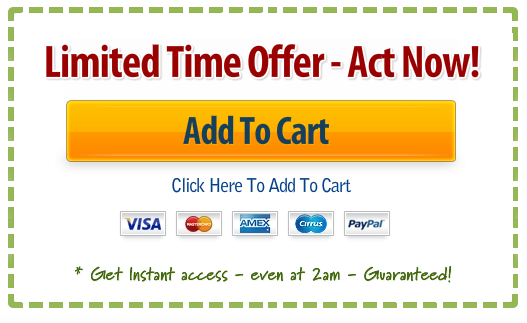 Just click the orange button to order and your copy will be on its’ way within 24 hours. Get ready to Master Your Knowledge on the Last Days. P.S. Just think! You’ll never again suffer through the pain and hassle of digging through difficult and confusing texts on the Last Days again.